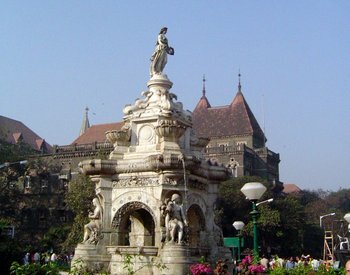 South Mumbai is the southern-most precinct of the city. It comprises the city's main business localities and its adjoining areas. It is the richest urban precinct in India. The constituency of South Mumbai extends from Mumbai Central to Colaba but most city residents use the term to refer to the stretch extending from Colaba to Mahim. This side of Mumbai is also known as "town". You can think of the area between Colaba and Mumbai Central as old Mumbai. The most beautiful part of the city is the "downtown" area. This is the main business district and houses the town hall (during the British Raj) which is now the Asiatic library. A quiet walk around downtown Mumbai on a Sunday evening and there is no reason why you wouldn't fall in love with the city. Has the only school from where you can see the sea and enjoy a nice relaxing walk by the water after school. "If you are a big foodie there are a lot of old classy eating joints and cafes that are waiting to be discovered. They are generally old and have a very warm ambiance. Perfect for a peaceful afternoon"